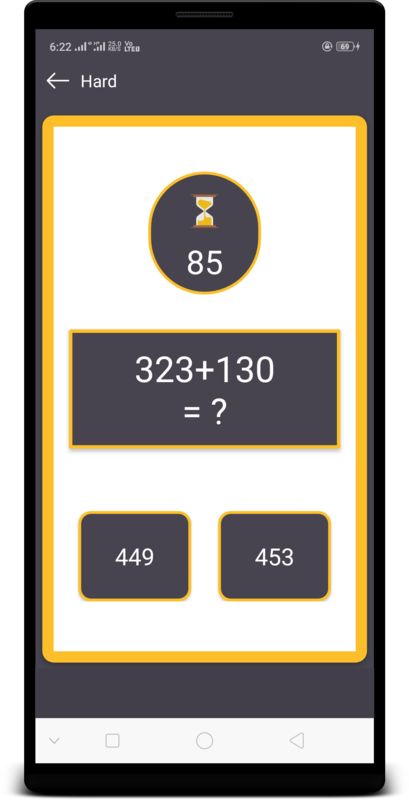 Math’s Master mind game will help you to sharp your mind, improve prompt skills. 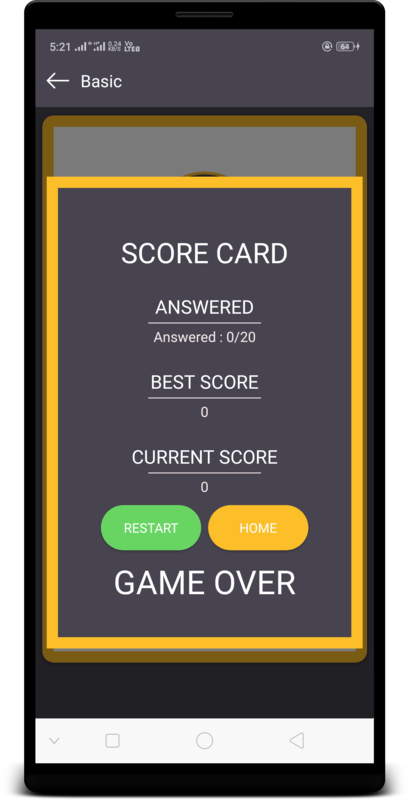 Quickly refresh yourself having fun with math. 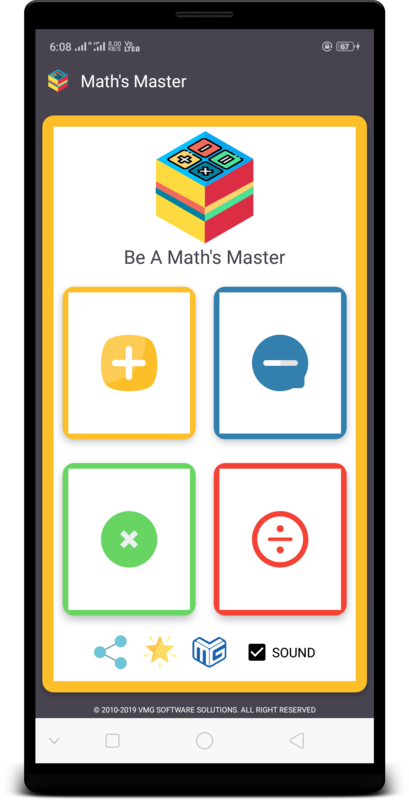 Even math’s master app is very much helpful to your kids to become master. It’s very easy to sharp your knowledge. 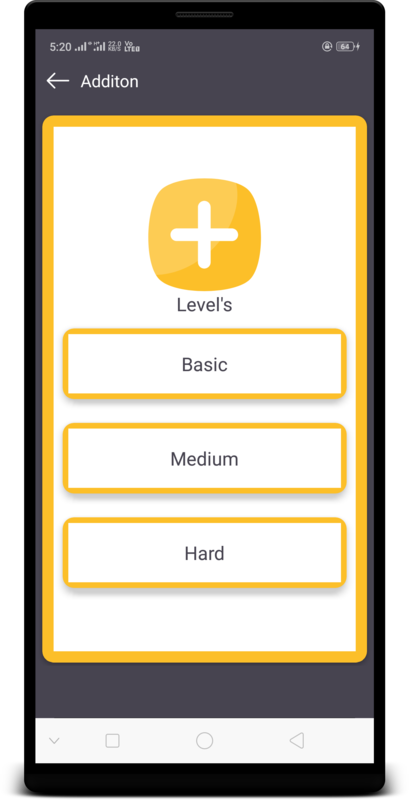 Complete the levels step by step and earn the status of “Master of Mathematics”! It will be very much useful into your routine life. 1. Learning Addition of numbers with two layouts. 2. Learning Subtraction of numbers with two layouts. 3. Learning Multiplication of numbers with two layouts. 4. Learning Division of numbers with two layouts.